My dad first introduced me to this drink when he got it on a deal at Walgreens. 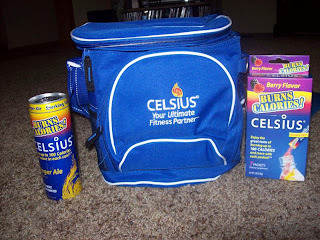 Then I contacted Celsius for some products to review and was excited to also get a lunchbox! First, I tried the orange drink. That was my favorite of the drinks. It was carbonated, slightly sweet and best of all only 10 calories. I then tried the ginger ale flavor which was pretty good and tasted like fresh ginger. I was not a fan of the peach mango for some reason but that was one of the flavors that my dad tried and he said that he liked it. According to the company, this product helps to burn calories. It says that you can burn up to 100 calories per can that you drink. I could not tell any immediate effect but that's not to say that it does not work. Also, something else to note is that the product has 200 mg of caffeine per can which is like two cups of coffee. Possibly the caffeine is what is making you burn the calories? Also, this product is supposed to help you when drank 15 minutes before exercise. I was happy to finally get to try this product after having seen it everywhere. 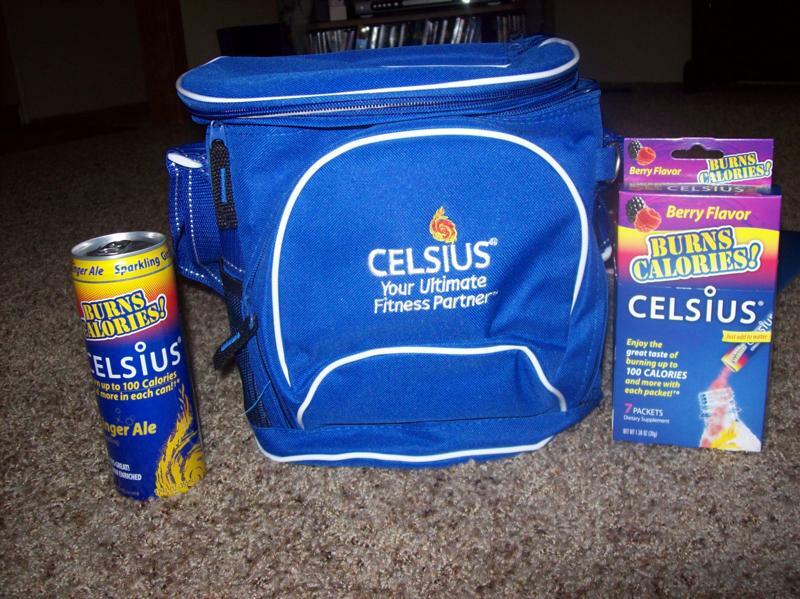 Thanks Celsius!